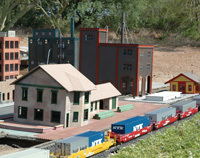 Join Movie-Mix Productions as we meet up with Rick Cartwright of Empire Builder Railroad Designs as he challenges for the world record or The Longest Model Train. 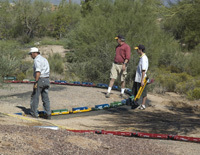 This is the first time the the record attempt will be made in g-scale. Having over 650 cars and a total length of over 1250 feet, this is an attempt you don't want to miss. 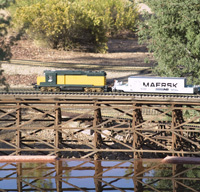 The DVD features a look at The Dynamite Rio Verde & Eastern Railroad, a truly amazing layout with over 4000 feet of track. DVD is here and ready to ship.You can order it now in the train catolog. Order it now from the train catalog!